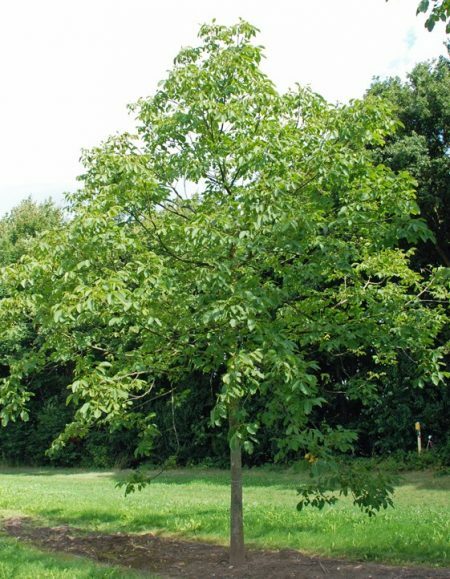 The Common Walnut is a large tree with medium sized leaves that are bright green, turning to yellow in the autumn time, with the nuts appearing in late summer/autumn. Juglans regia thrives in most soils but not waterlogged and prefers full sun. It makes a splendid and stately addition parkland and avenues.